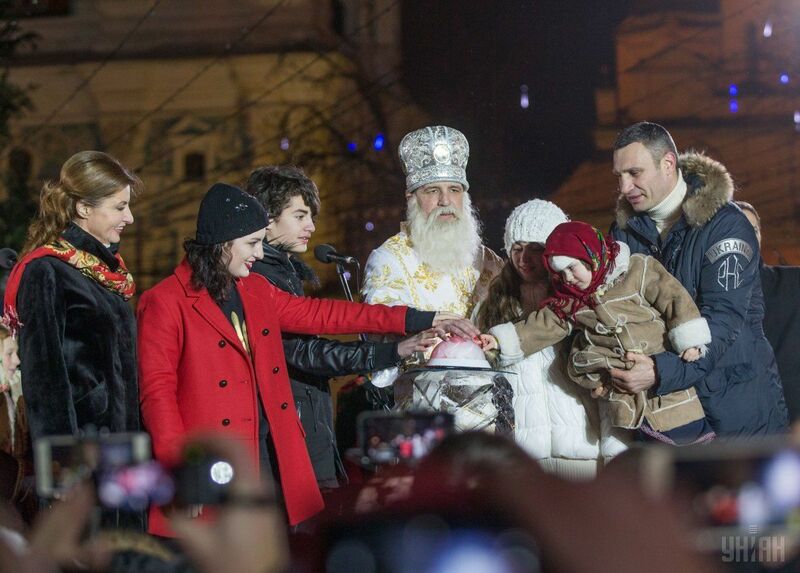 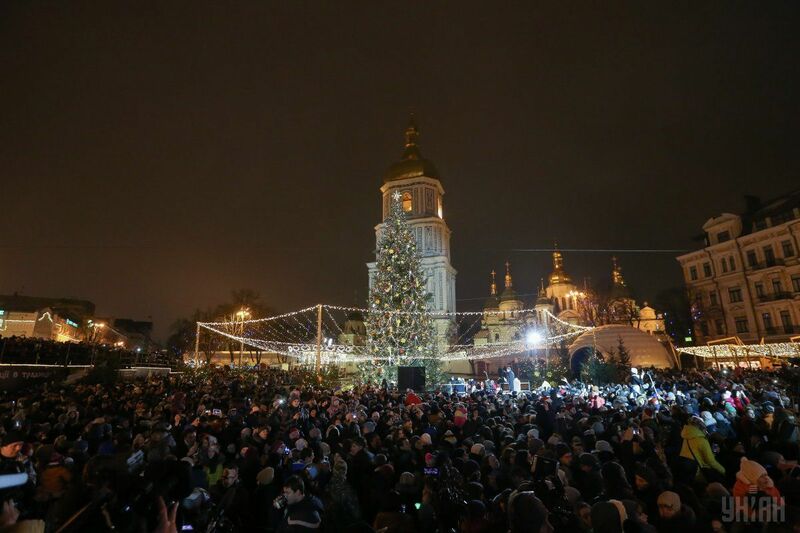 The main Christmas tree of Ukraine has lit the lights on the St. Sophia Square in Kyiv. 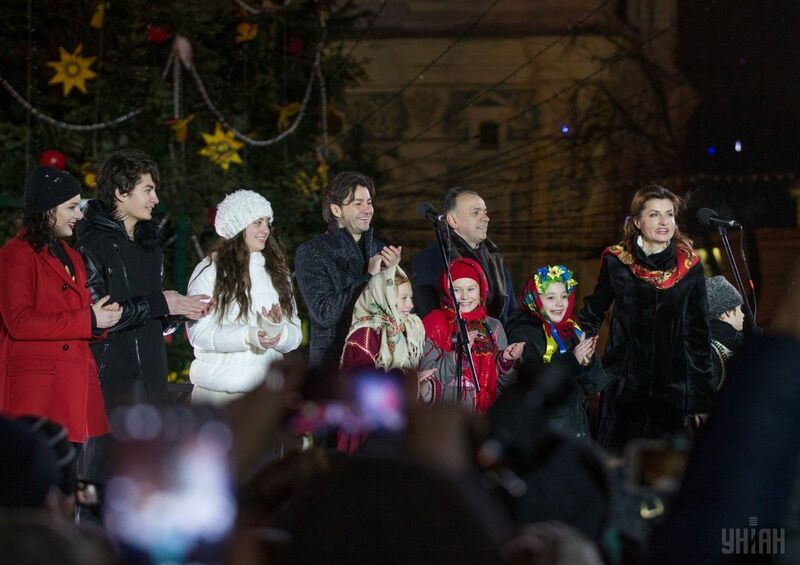 The ceremony was attended by First Lady Maryna Poroshenko and Kyiv Mayor Vitaliy Klitschko, the mayor's press service reported. 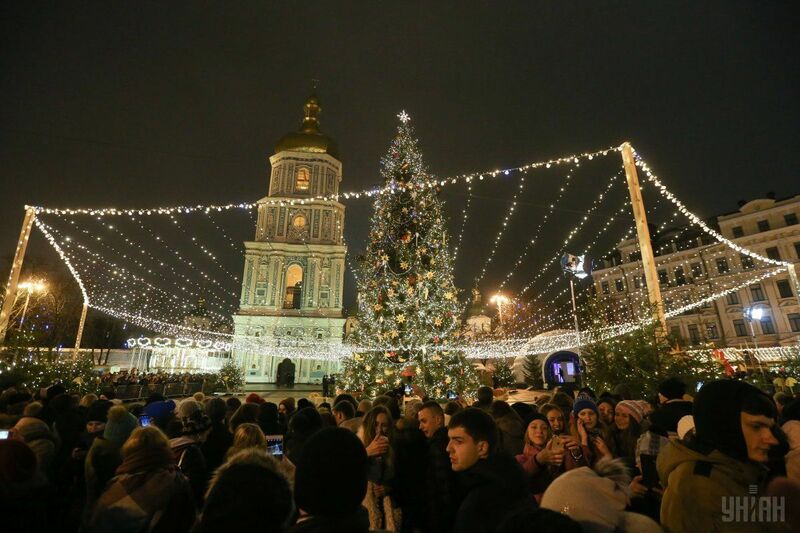 Christmas tree is decorated with three kilometers of garlands, as well as 42,000 lanterns and 1,000 wooden toys, made by craftsmen from Lviv. 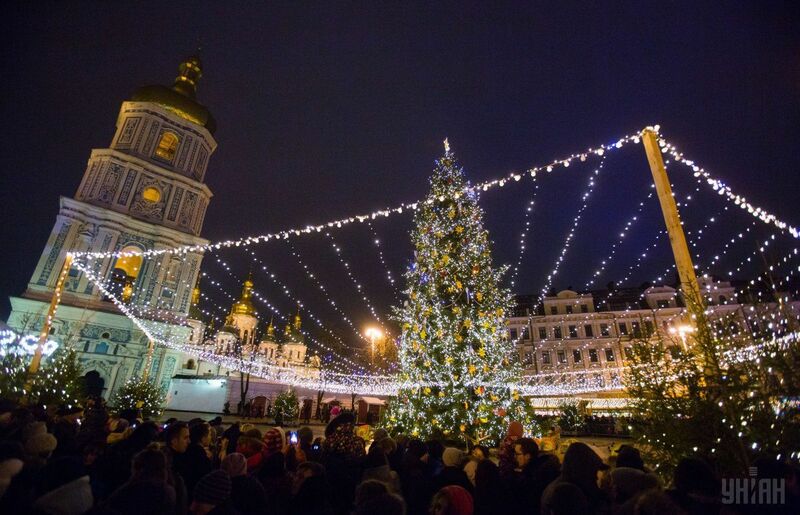 Christmas town on the St. Sophia Square will run from December 19 until January 15. 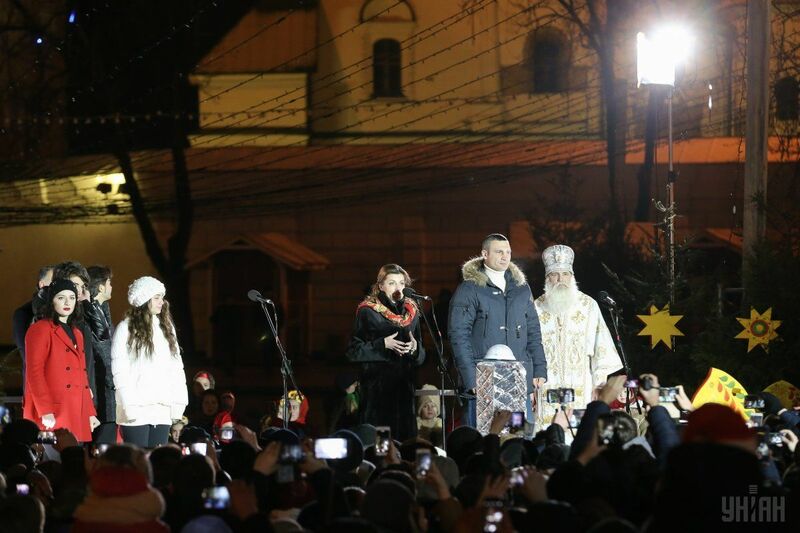 The main events will be held on Friday, Saturday and Sunday and public holidays – St. Nicholas Day, New Year, and Christmas. 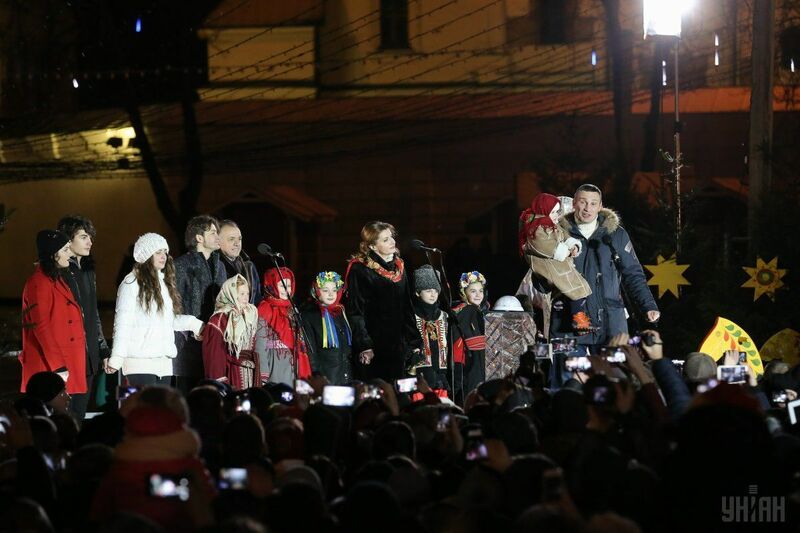 In general, 15 concert shows are to be held during the celebrations. 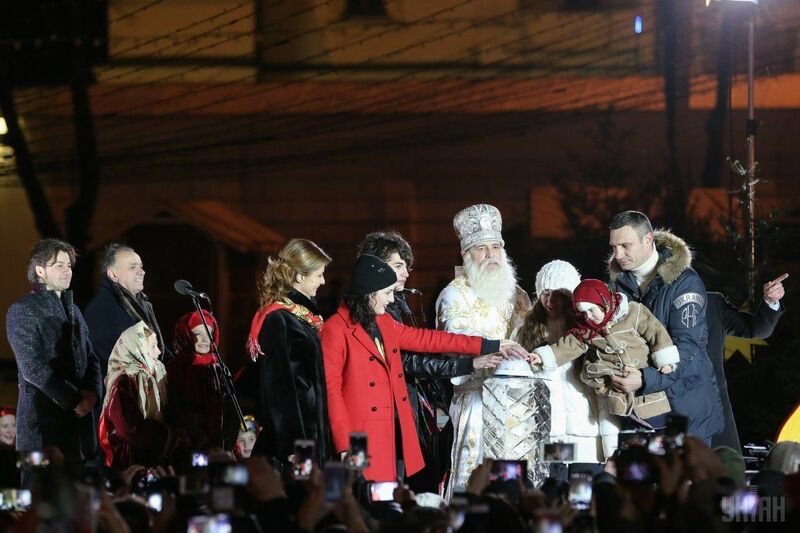 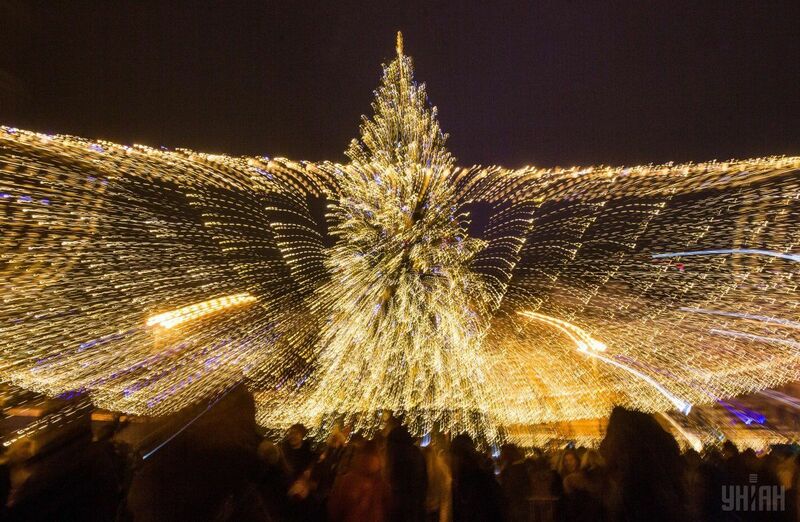 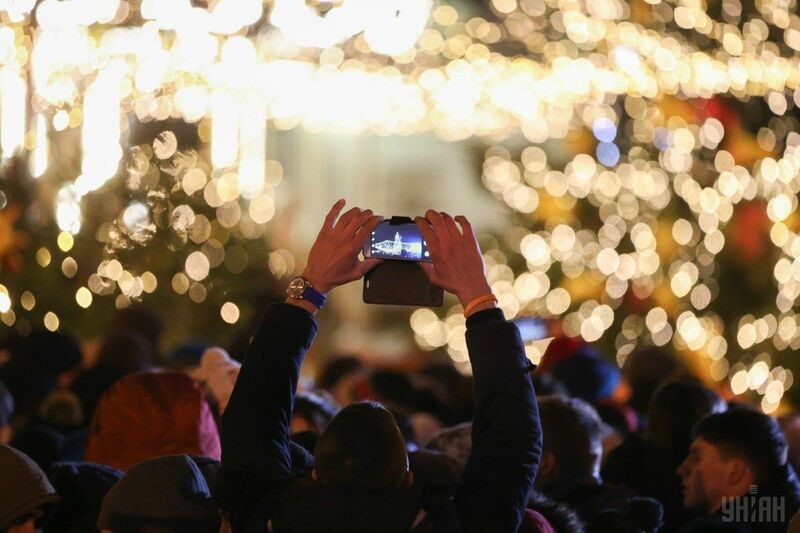 Read alsoSerious power failure reported in Kyiv region over weekend, reasons namedAs in the past year, the Christmas town will cover the St. Sophia and Mykhailivska Squares, as well as Volodymyrskiy Passage Street, which connects them. 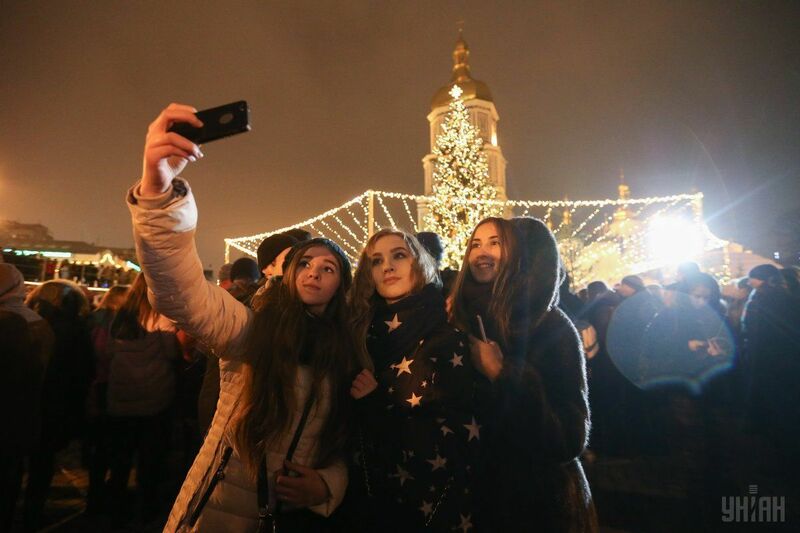 The main Christmas tree of Ukraine, the scene, a selfie platform, exhibition of toys, made by children from all over Ukraine, are all placed at the St. Sophia Square. 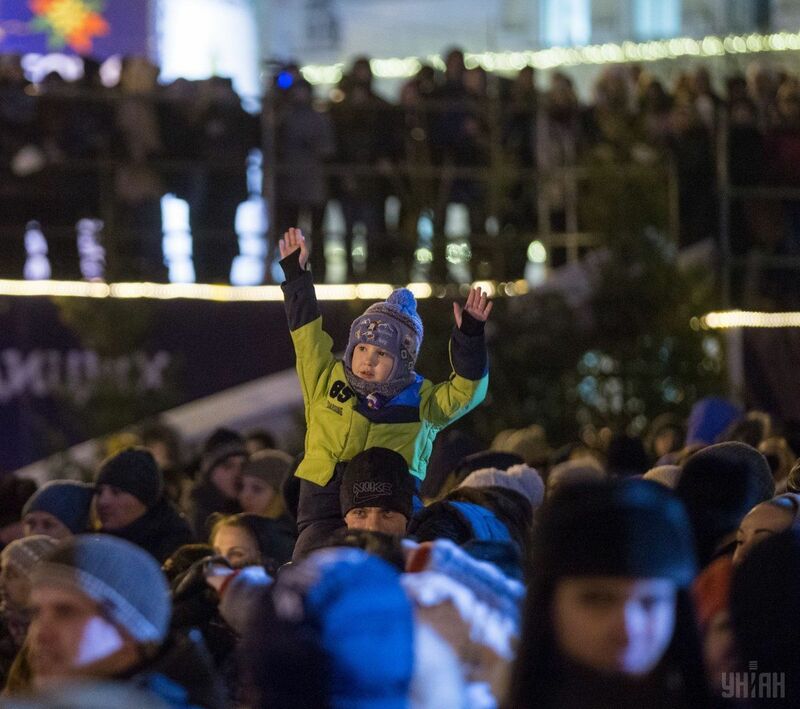 An entertainment village with a 21-meter Ferris wheel, slides, ice sculptures, the tunnel of desires and roundabouts are placed on Mykhailivska Square.